Washington County, WI is located between Port Washington and Beaver Dam on the south eastern part of the state just west of Lake Michigan. 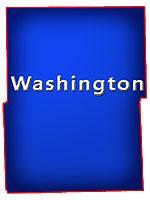 Washington is known for its historical buildings, golfing, shopping, hunting, marinas, fishing, parks, sledding, museums, theatres, skiing, tubing, Ice Age Trail, which also has Lizard Mound County Park, Kettle Moraine State Forest Pike Lake, Homestead Hollow County Park, Schoen Laufen Park, Dheinsville Historic Park, Big Cedar Lake, Little Cedar Lake, Silver Lake, East Branch Rock River plus a couple communities including; Kewaskum, Allenton, Hartford, Slinger, Jackson, Germantown, Richfield and West Bend. It's surrounded by 6 other Counties; Fond Du Lac, Sheboygan, Ozaukee, Milwaukee, Waukesha and Dodge. On this page you will find Lakefront Properties, Riverfront, Private Ponds, Creek Frontage, Stream Frontage, Waterfront Cottages, Waterfront Lots and more located in this county listed by real estate agents. Washington County, Wisconsin GIS MAP Information!